Update your decor with the MS International Classico Blanco 12 in. x 24 in. Glazed Porcelain Floor and Wall Tile perfect for your next installation or renovation project to incorporate an updated look to your dream space. 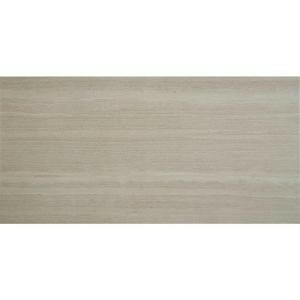 This beautiful tile features a smooth, matte finish and neutral cream tones with grey washed striations. Designed for floor, wall, and countertop use, this porcelain tile offers water absorption of less than 0.5% and a moderate variation in tone to create a stylish complement for a wide variety of designs. This floor and wall tile is marginally skid resistant to suit your needs. 16 square feet, 8 pieces per case. Case weight is 70.08 lb. Buy online MS International Classico Blanco 12 in. x 24 in. Glazed Porcelain Floor and Wall Tile (16 sq. ft. / case) NHDCLASBLA1224, leave review and share Your friends.